The post read: "This is extraordinary! The gentleman on the left is Peter Fahy and following a stroke he lost the use of his left side, and his speech was badly impaired. 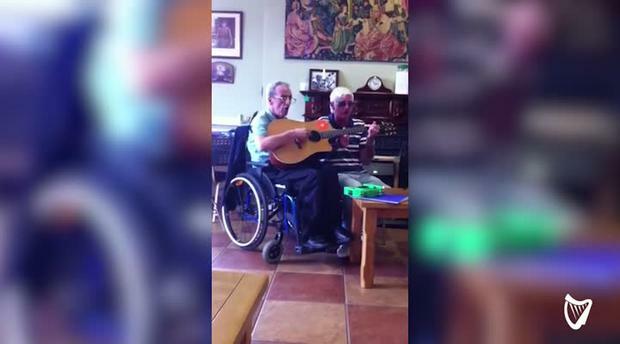 Lil Davis from the Cahir Day Centre explained to Independent.ie that that prior to his stroke, Peter "always sang and joined in the music at Cahir". Thanks to the help of Stefan, his confidence in his ability to play music has greatly improved. Both men, who are in their sixties, are regular service users at Cahir Day Centre. Lil said that being able to play music again has enhanced Peter's quality of life.